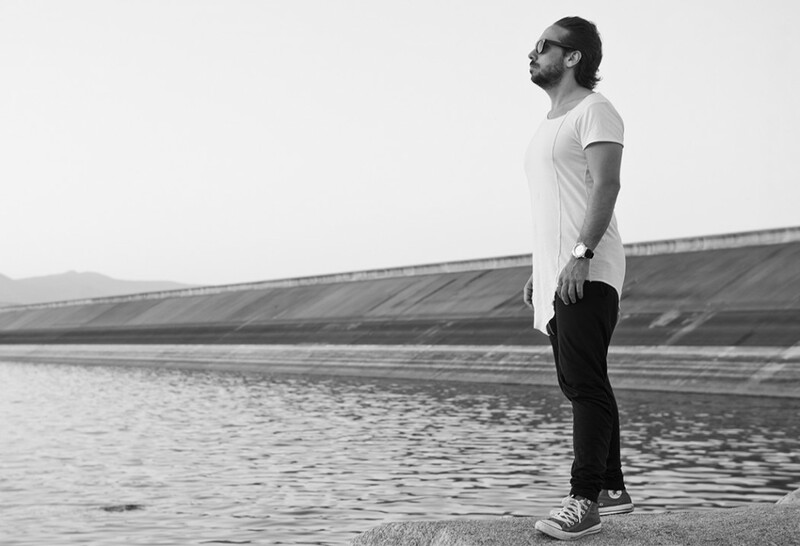 Boasting over 20 years in the music industry, Cristian Varela is a name you should familiarize yourself with if you haven’t already. 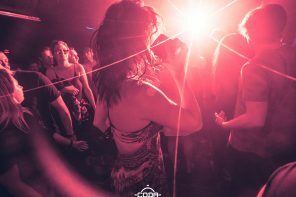 This busy guy runs his own record label, Pornographic Records, while being a DJ, producer, composer, and arranger, and is an authentic specialist in contemporary, experimental and symphonic music. Is that talented enough for you? You mentioned that your work is a “fusion of different sounds and emotions from different periods of your life.” With some tracks having lighter, uplifting tones and others having a darker feel, what periods of your life do the tracks on “Max & Max” represent? The last 3 years of my life have been very important for me because I made some positive changes and all these feelings are reflected in my creations during this period. Also the underground electronic music scene I think had some change, especially with techno music now, it seems to be living a golden age again. The changes are almost like a new cycle for me after 24 years in my career as a producer and DJ. First up is “Caramba” with a progressive onset of drums that demand your attention. This track really opens up at the 2:50 mark when a commander-like vocal arouses our ears. 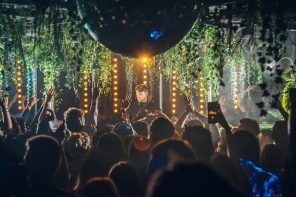 Shooting lasers and high female vocals weave their way through before the commander is back, taking us deeper and darker with bass so low, you’ll feel it throughout your entire body. How did the name Max & Max for your LP come about? The name came from the concept between the maximum emotional feelings and the maximum sound mastering possible. I was always worried about the sound with my creations, to find the perfect mix, balance and dynamic is not easy. But with Max & Max I wanted to create deep atmospheric sounds combined with a powerful bass and structures. “GREAT” is ready to snap you back to reality with a heavy hitting kick and tight tribal-like drums. This combination ropes you in with anticipation for the captivating bass line that rolls in, and delivers the drive you were hoping for. Many of the tracks on Max & Max incorporate vocals – What’s your process like for choosing vocal samples to go with your music? I always want to have the perfect harmony with vocals to create the mood for each track. I based some of the vocals from those in the 80´s and 90´s, which have been from my influences from my electronic music history. 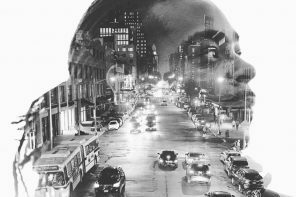 The selection was very important but the application with the effects and the tonal manipulation was also vital. Just when we’re really starting to feel it, “Blanky” sets the tone with a simplicity that keeps you wondering where this track is going next. Energetic melodies pop in and out, while the heavy-hitting beat maintains itself, showing off the identifiable sounds of the album. You mention that you find inspiration for sound in everyday life. Can you give us an example in any of the tracks off this LP, where a song is tied to a particular story/ moment of life? “Caramba” was inspired by the amazing tune from Imagination- ‘’Illusion’’. I was in a restaurant when I heard this song. My mind started to take some influences and ideas for a Techno track. When I got home I started to write it! Sometimes I take ideas when at airports or flights and the sights and sounds you see every day. I did it with the track “Destination”. Don’t get too comfortable! “San Francisco” enters with high intensity and keeps a quickened pace throughout the entire track. When haunting male vocals enter in around the 2:30 mark, the track takes you into another dimension. Close your eyes and hold on for the ride. What kind of fulfillment do you take from putting out a large body of work such as this LP versus a single release? For me an LP is something more personal where you don´t need to create a certain track just for the dance floors. Sometimes we create EP’s and remixes just thinking about what’s hot right now, and what works in the clubs and festivals, but to work in an album is more focused with a compilation of my favorite electronic creations in one place. 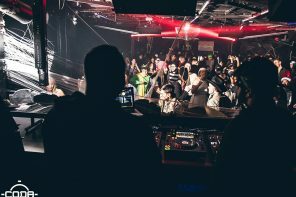 Some of the tracks in the first selection for the album were more experimental and ambient and chilled, but in the end Carl Cox and Jon Rundell made the best decision with the final selection for the album and now Max & Max, I believe is the perfect combination of different styles of Techno. Showing off Cristian’s Spanish influence, “Jazzy Freedom” is a track that lives up to it’s name. Featuring jazzy drums paired with melodic high notes that build upwards, this track also makes use of a variety of female and male vocal samples. The vocals give “Jazzy Freedom” even more depth, making it nearly impossible not to bob to the beat. How important do you think it is for artists to strive in producing full albums in a day and age when hit singles seem to rule the charts? Creating an album is always one of the best achievements in your career, where you have creative freedom and versatility in what you produce. Of course they also need to have fantastic promotion and a great world wide touring schedule alongside to help make them a success and rule where singles seem to always dominate. Next up, is the playful track “TOMY & JERRI”. A rolling bass line and playful percussion open up this track before intense steel drums enter in, reminiscent of lively street performers enjoying life. While the beat may be dark, the variety of quirky and tonal sounds are truly uplifting! Why do you feel this LP is a good fit for Carl Cox’s Intec? Carl and I have a very similar view of the energy we want to create and the music style for the album and label. He is like a big brother to me and Intec is the perfect label to express all my feelings in a LP. We have been collaborating for more than 10 years together and I feel at home with the family at Intec, which to me is very special. In comes “Love Perc”. This track is an easy favorite with high chimes and a limitless bass line. It’s hard not to smile when you listen to this one as it elevates you with its harmonious sounds. Have we lost you on the journey of Max & Max yet? A menacing feeling saturated into a low-slung bass draws you into “Penthouse”, with subtle percussions that slowly build until one final burst of energy midway through. While “Penthouse” is one of the mellower tracks off the LP, it’s still full of heavy bass and intriguing effects that will take you on a captivating 7 minute journey. Giving us no time to catch our breaths, “Silver Tokyo” has a more progressive structure, building on chord progressions, while adding in subtle vocal samples and creating a complex mix that really makes this track stand out. The many layers of “Silver Tokyo” mesh the highs and lows seamlessly together, bringing it to life as it hits your ears. Switching it up yet again, “Destination” feels like a homecoming before the bass comes through, taking you totally by surprise. The uplifting, funky beat and steel drums mixed throughout give this track a euphoric feel, while keeping true to the dark style of the album with deep, male vocals and futuristic tones. As soon as the drum line starts, you know you’re in for a wild ride with “Alarm Waves”. As you plunge further into its depths, melodic tones wake you up and create a whirlwind ride of high hits. High pitch beeping and haunting conversational samples will force you to close your eyes and surrender your imagination to this track. Right away, “Human” hits you with tight percussion that builds with intensity, never letting up. Dark, deep male vocals bring the track down a new path. You’re not sure if you’re still on planet earth by the end of this one, but who cares? With strong, pounding bass, it’s impossible not to move your hips to the next track,“Tiger”. 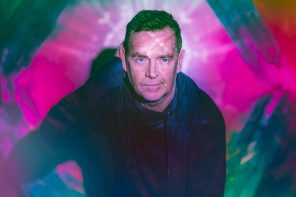 As you bounce around your seat – dance floor – or where ever this track may have found you, the ominous backbeats compliment the groovy rhythm, creating an intense energy. “Ovnivion” is up next, bringing in elements of techno that make you feel as though you were transported to a crazy jungle party. This track is littered with peculiar effects and multi-layers, absorbing listeners into a world of its own. A dark, rhythmic synth with cat-like zipping sounds adds a deliciously creepy undertone to this track. Finishing off the album is “Fascinator”, fusing more of those Latin-funk drum lines that we’ve now become very familiar with. The fast percussions and dark undertones keep you on your toes and eager for more. This track absolutely delivers with bursts of rhythm and dreamy backbeats. 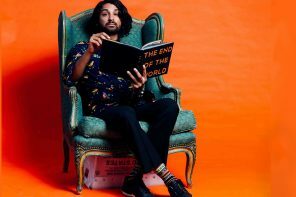 As the final track off the album, “Fascinator” really exemplifies Cristian’s ability to find a common ground on his album, with a plethora of layers that showcase his A+ production skills. If you’re not dancing already, what are you waiting for? Whether on the terrace of DC-10 or in your kitchen, Max & Max will take you on a remarkable journey that we suggest everyone partake in! 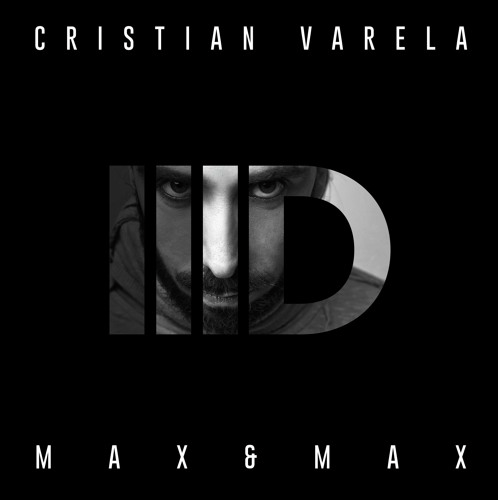 Special thanks to Cristian Varela for taking the time to speak with us and allow us a first listen to the phenomenal Max & Max.